Seattle confounded all our expectations from the start, as we arrived on a gloriously sunny afternoon and stared up at the hill rising sharply from the waterfront. I’m not sure why it being hilly was such a surprise, but that was the first thing we both noticed, followed immediately by the fact that it wasn’t raining. It was late afternoon by this stage, so we dropped our bags at the b&b (the delightful Gaslight Inn) and proceeded directly to the pub. 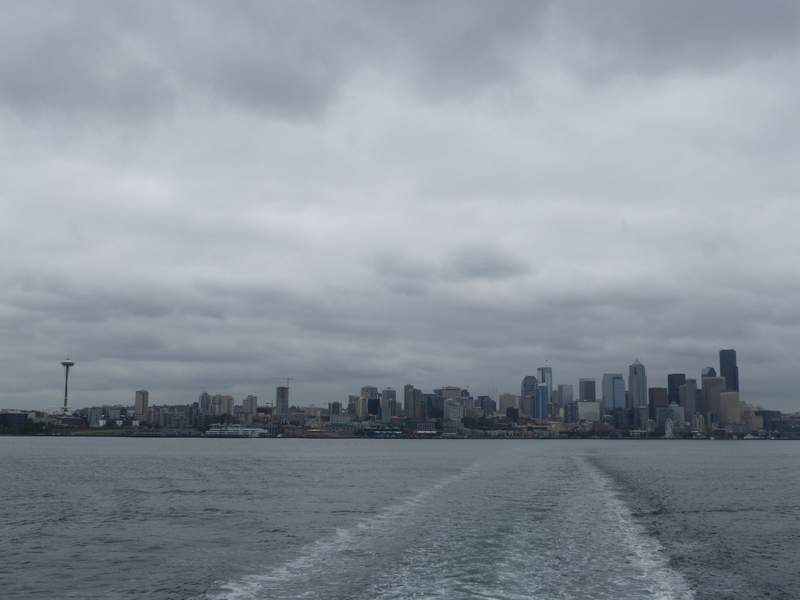 We decided to begin our first full day in Seattle by leaving it, so caught a ferry across Puget Sound to Bainbridge Island. This afforded great views back towards the skyline, and it was lovely (if rather chilly) to be out on the water. The ferry docked in the small town of Winslow, all quaint gift shops and cute cafes, and we had a very pleasant stroll around before heading back to the mainland for lunch. Duly refreshed we joined the throngs in Pike Place market, where an interesting mix of stalls sell everything from fresh seafood to quirky jewellery. Along with most other tourists we stopped by the original Starbucks cafe, but were not tempted to join the lengthy queue for coffee. 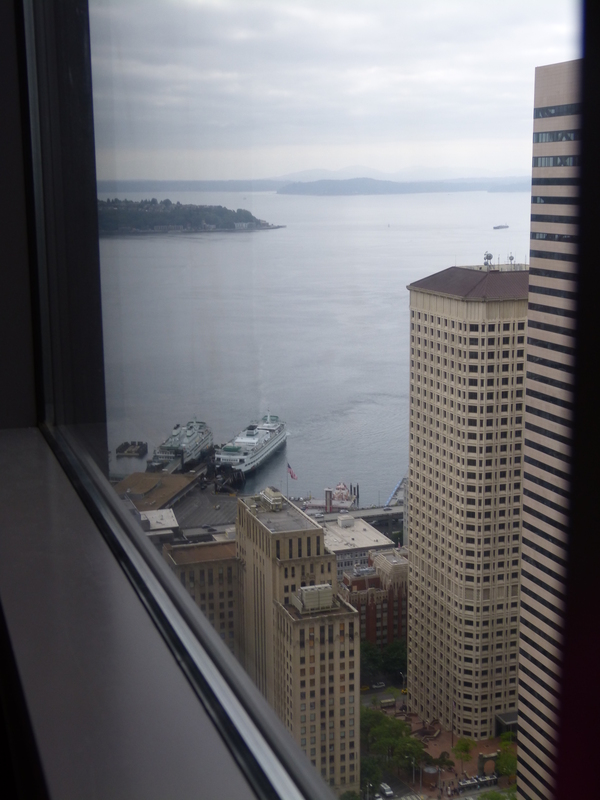 Then it was on to the historic district around Pioneer Square, and up for a coffee on the 40th floor of the Colombia Center (as in Chicago, a nice view for the price of a drink seemed like the better option, although admittedly this wasn’t quite so dramatic). Last stop was Seattle’s main public library, a spectacular and seemingly user-friendly facility designed by Rem Koolhaas and Joshua Prince-Ramus. Then it was back up the hills to the Gaslight for a well-deserved rest, before an evening of beer and snacks. For our second day we took the advice of our b&b host and walked across to Lake Union to visit the Museum of History and Industry (MOHAI). 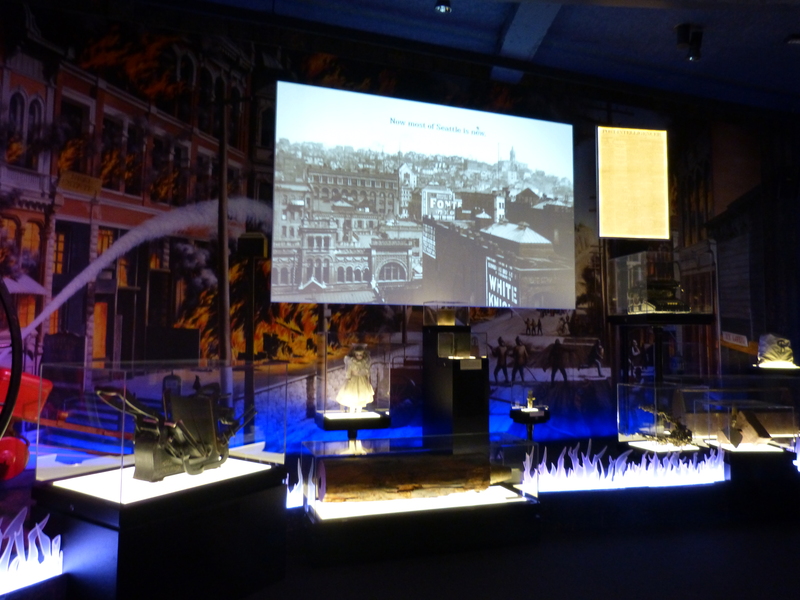 Despite its rather workaday name, this was an interesting and well organised collection devoted to the history of Seattle from its first white settlers to the present day, and we spent much longer looking around than we had intended to (always a good sign for a museum!). 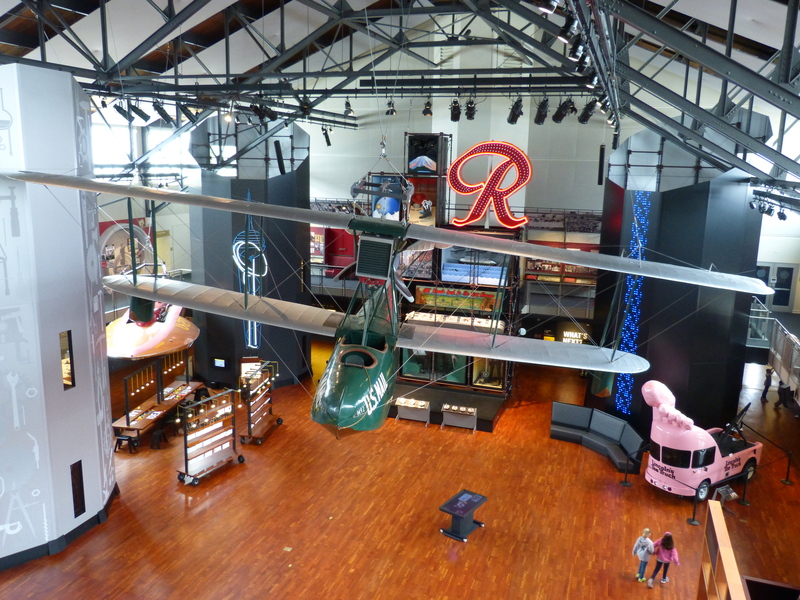 Other galleries described the historic use of the area by Indian tribes, the process by which white settlers moved in, and Seattle’s part in the Klondike gold rush, as well as its impact on the modern technological scene through companies such as Boeing, Microsoft and Amazon. Finally dragging ourselves away, we walked over to the Seattle Center area and wandered around the base of the Space Needle before heading into the main reason for our visit to that part of town. 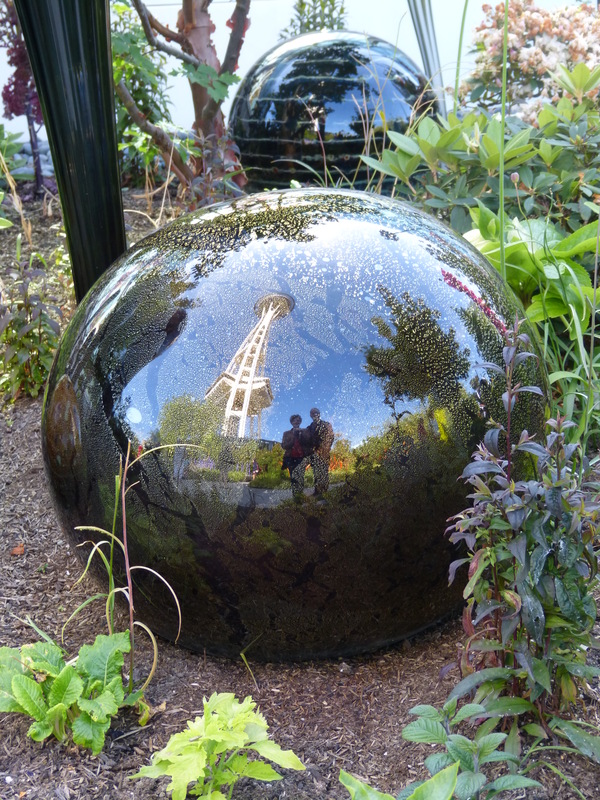 The Chihuly Garden and Glass collection was completely wonderful, and I could write a whole separate post about how much we enjoyed it. 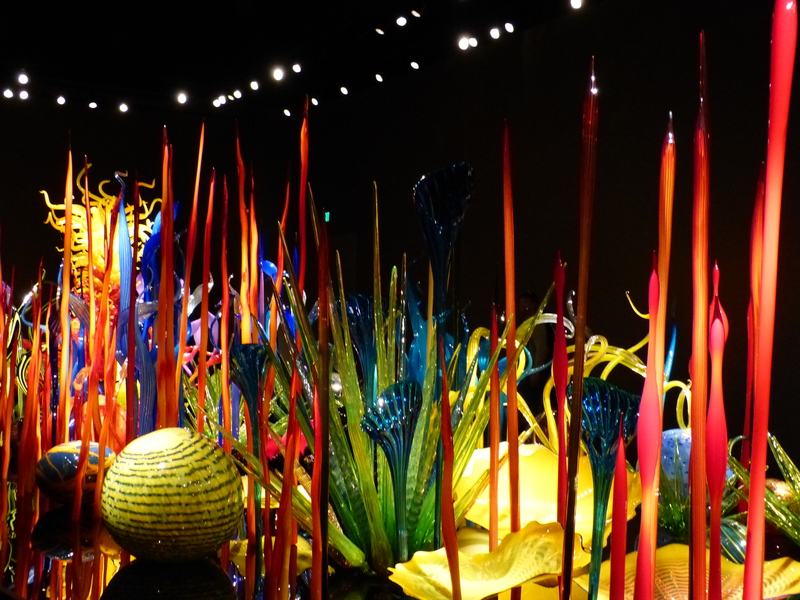 Suffice it to say that it was a beautifully displayed selection of Chihuly’s distinctive glassware, made even more effective by the contrast between the pieces viewed in darkened galleries and outside in the garden. 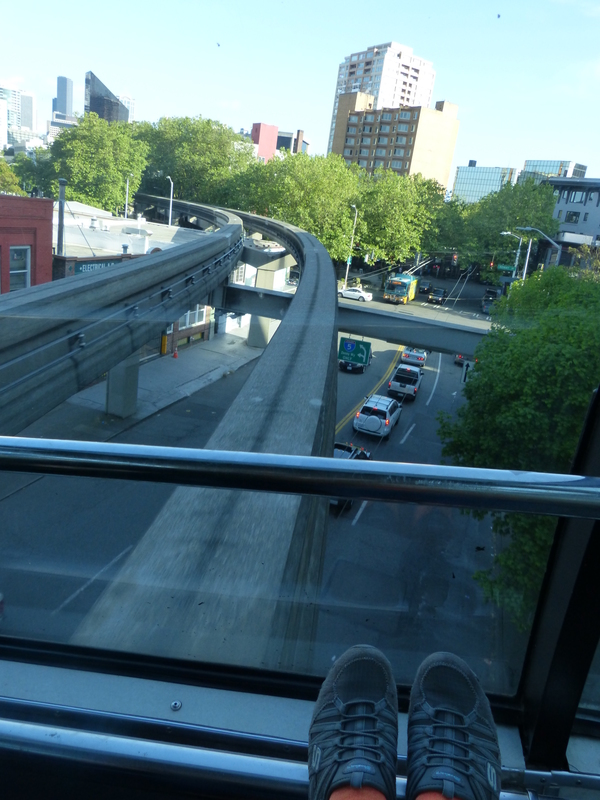 A short trip on the monorail later and we were headed back to Capitol Hill, to pass our final Seattle evening eating Mexican food and ice cream. 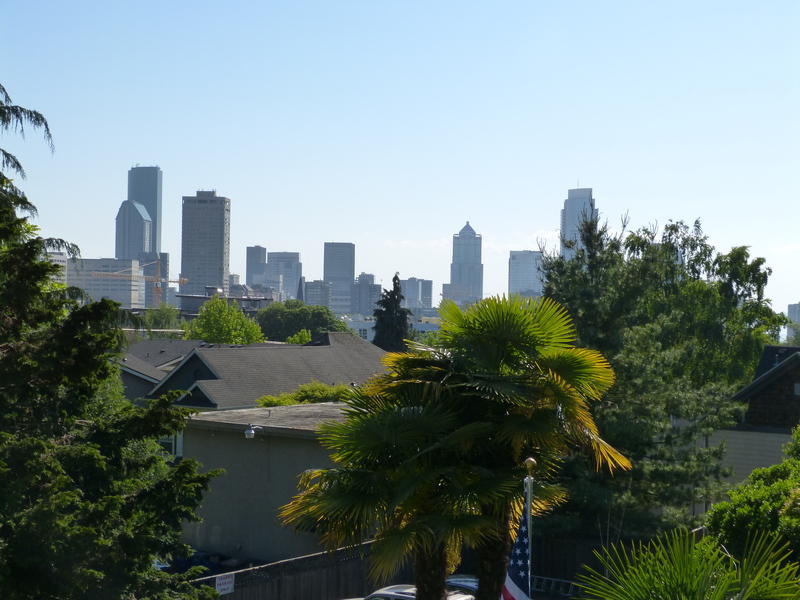 Seattle was ludicrously photogenic, and I took way too many photos. I have edited these quite ruthlessly (honest! ), and you’ll find a mere 115 of them over in my Flickr album. 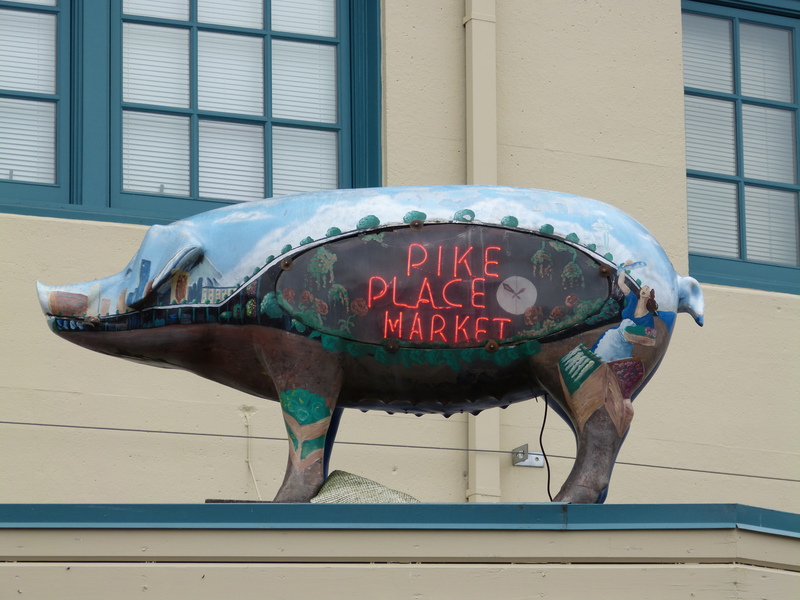 This entry was posted in Holidays and tagged 2014PNW, art, Bainbridge Island, beer, Capitol Cider, Chihuly, cider, coffee, Elysian brewing, ferryboats, Gaslight b&b, ice cream, MOHAI, museums, Pink Door, Seattle, walking by Emma Davidson. Bookmark the permalink.